On two occasions in the last week, BBC radio scientific programmes have claimed to offer “evolutionary explanations” for observed human phenomena, though admittedly one might (memory is hazy) have been a food programme interviewing a scientist. In the first, discussing how babies begin to accept so many new foods, it was noted how toddlers tend to become very conservative at a certain stage, only beginning to experiment with new tastes again around the age of six. The second programme was about human recognition of faces, and how even newborn infants show a preference for quite crude visual representations of faces over non-faces. Now, consider what an “evolutionary explanation” ought to mean. The underlying assumption must be that conservative toddlers and face-recognising babies once did not exist, but that an evolutionary process may be described which brought them into being. Now current evolutionary theory takes a number of forms, and as this authoritative page of misconceptions shows, evolutionary explanations may have a number of outcomes, so specificity is required. For example, the major current theory of molecular evolution is nearly-neutral theory. Applying this, the features mentioned above would have arisen fortuitously through drift, even though possibly deleterious to the individuals. As the linked page shows, evolution is quite capable of causing progressive loss of fitness and even extinction, and specifically, to cite four of the common misconceptions, it does not reliably lead to progress, natural selection need not give organisms what they need, nor necessarily act for the good of the species, nor produce perfect adaptation to the environment. That’s one kind of evolutionary explanation. 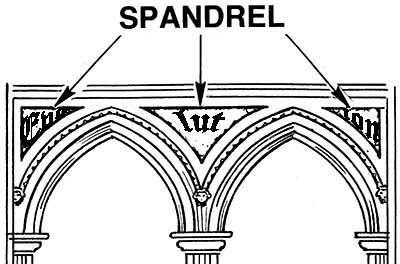 Or the relevant traits may be Gould-type “spandrels” arising off the back of simple adaptations caused by natural selection. Genes for prominent noses, for example, may happen also to code for oversensitive taste-buds or shape-recognition. But as it turned out, in both instances the “evolutionary explanation” given was nothing more than a suggestion that the trait in question is probably useful, and therefore (by implication) it was necessary to evolve it. Now what was that fallacy about natural selection giving organisms what they need again? Toddlers, because they began to explore their environment independently, might accidentally have eatem poisonous berries, and so it conferred survival value to Pleistocene toddlers to be suspicious of new foods. Well, the function itself seems plausible enough – though it applies as much to modern conditions as to any imagined evolutionary past: today’s roaming toddlers may well be tempted to sample the taste of domestic bleach or dog poo – and sometimes do, which is why cupboard doors have childproof locks and local councils encourage doggy-bags. 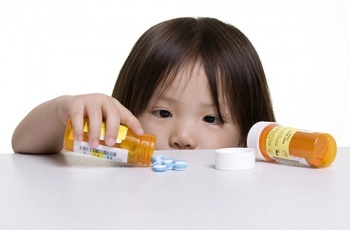 What one would really need is firm evidence that less faddy toddlers actually do poison themselves more often – and that seems to much trouble when you can simply make fanciful assumptions. Simply to invoke evolution as the cause of that, though, has precisely the same explanatory power as saying “a good Creator did it”, or even “Nature is a benign magician.” In fact, the most scientifically truthful, and useful thing to say about it would be simply, “Toddler finickyness appears to serve a function.” The “evolution” word, like Gould’s spandrels, is simply along for the ride… decoratively waving a flag for the theory without serving any explanatory function whatsoever. I’m informed enough nowadays to insist that at least some kind of feasibility study should underpin such evolutionary claims. The adaptive natural selection claim can’t provide genetic chapter and verse – it’s still the case that no complex phenotypical behaviour has even been successfully attributed to any particular genotype. But does it even work as a Just-So story? It would appear that the ever-vigilant natural selection, already busy with the development the whole plethora of humanity’s unique features, was somehow able to sort, via differential reproductive success twenty-plus years later, those toddlers who were poisoned by over-adventurous eating (a trait to be eliminated) from those who died by stroking scorpions or falling in rivers (a reasonable trade-off for independent mobility, to be retained). And this selection was not in any way muddled by the far greater number of toddlers who, in primitive societies, would be doomed to die from infectious diseases or malnutrition, or to die in adolescence or pre-toddler infancy. Magic seems at least as plausible to me, with the advantage that it doesn’t actually need a credibility-straining blind mechanism operating beyond any possibility of human examination. 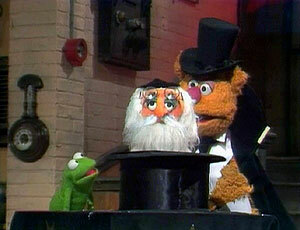 The magician at least has a specific goal in mind, whether or not he’s successful. The case of the babies recognising faces is similar. Do we really believe that there were once babies that didn‘t respond to their mothers’ faces? A recognition ability that appears within hours of birth is likely to be so fundamental that survival is impossible without it. Did all babies fail to survive to reproduce before whatever enables this trait – once more conveniently concealed in a black box called “the genes” – came into existence and so enabled babies that survive to evolve? If “evolution” explains facial recognition, that’s no more informative an explanation than saying that “evolution” explains faces. Faces too, after all, have obvious beneficial functions… though the very same evolution has been the explanation equally for the faces of the horseshoe bat and the mandrill, and conceivably for some speces whose young do very well without any ability to recognise their own species’ face. What possible use would it be for newborn animals not to recognise their parents’ faces? Well, there may well be an evolutionary explanation for that. And since that’s an indisputible fact, does it matter what the explanation actually is? Not only everything, but instantly. I think this touches on a problem that is far more expansive than the evolution of just faces and their recognition. The problem seems to be with any trait of any kind of organism. Pick any trait of any kind of organism – call it “Kind with T” (“KT”), as opposed to “Kind with No T” (“KNT”). We’re usually told that KNT survived and reproduced for eons, but then KT mutated into existence and eventually replaced KNT because KT had a T that better enabled it to survive and reproduce for eons to come. But KNT was already surviving and reproducing for eons, sans the T.
If we humans evolved (eventually) from something like bacteria, but bacteria are still surviving and reproducing just fine after billions of years, of what advantage were the traits of humans, who have been surviving and reproducing for only a small fraction of that time? I detect some sarcasm there. And I think I may share it on this matter. 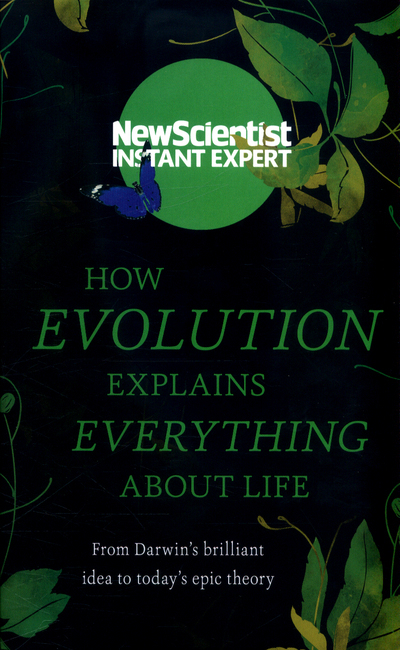 That book title “How Evolution Explains Everything About Life” makes me wonder if something is said to explain everything, it may in fact explain nothing. Indeed the point is rightly made. For evolution to have taken place DOES require a trait to be selected. so indeed what of babies who fail to recognize mama?! its more likely just a issue of memory. Babes recognize/memorize better those they deal with more and in important ways. their memory is triggered more. likewise more diversity in faces would be easier to memorize, save for parents, if memory was the real source for these things. Your sarcasm detector was accurate – but I’m very keen here not to throw out babies with bathwater, so I tried to make my cases specific (or rather, it was specific cases that came to my attention). In the case of conservative toddlers, it does seem possible to imagine in evolution (since there are variations even now) a time when the “conservative stage” didn’t exist, maybe at a time when infants matured more quickly and so, in the proposed scenario, were less likely to eat poison. My point here was the almost magical ability attributed to natural selection to sort through fine degrees of developmental changes – and at a time when, according to serious evolutionary scientists like Eugene Koonin, most change happens through the failure of “purifying” natural selection to kill off deleterious changes. Sufficient means seem, in detail, lacking. The case of facial recognition is closer to your question of why adaptive change should happen at all, in what seems to be a matter of key value to survival whether you’re a baby human or a baby rabbit. To be fair to adaptive evolution (viewed at its simplest), the reasons for change “working” are that the environment is always changing, so that not only do new traits become advantageous, but allow different environmental niches to be occupied. As a very crude example, imagine your bacteria successfully swimming around in the sea, until one strain develops the ability to live in fresh water, or even simply to stick to the sea bed and grow colonies rather than floating free. Neither of those would render the original bacteria obsolete. Or imagine an ice age, forcing the existing bacteria to live in deep water, and new forms being able to exploit cold water. Maybe by the end of the ice age, the forms are so different they no longer compete. The question is really similar even in a guided evolution or special creation scenario – millions of species, primitive and complex, live together in an ecological balance. You can argue both for God designing it that way, or for things to shake down gradually on their own: one may seem more plausible than the other, but neither is illogical. Robert – on your memory point, the fascinating thing studies show is how unusually sensitive to faces human memory is, even from 1 hour after birth. In fact the radio programme was comparing it with facial recognition by machines, to show how difficult it is to do artificially even though computers never forget what’s put into them. I’ll just note that through any and all environmental changes on earth, bacteria have survived, as bacteria. Too true – and jolly clever and useful little blighters they are too. Evolution says that humans are the result of hundreds of millions of years worth of successful and finely adapted drive to reproduce. Scripture says that man was created by God but he has a sin nature and is subject to corruption by the Devil. Think about all the sexual perversion in the world and ask yourself which explanation for the nature of man better fits with what we see.